Eno winter hikes have been a tradition since 1971 and start on January 1st with the annual New Year’s Day hike (more info…) and continue each Sunday afternoon through February (Sunday hikes continue from March through early May with a wildflower theme- Click here for more info). The following hikes start at 2:00 pm and last 2 – 2 1/2 hours unless otherwise listed. Arrive 10 minutes early to find your hike leader and sign your hike waiver. Hike leaders will display a white Eno River bandanna. Hikes are geared towards adults, but children are welcome with an accompanying adult. Well-behaved dogs are permitted but they must be kept on leash at all times. Hike schedule is subject to change. Check back here before each hike to confirm hike details and meeting locations or call 919-620-9099 extension 211 for recorded updates. Some access areas for these hikes have limited parking. Carpooling is encouraged whenever possible. Click here for links to maps of trail access points along the Eno. 2:00 pm Hike the scenic gorge between West Point and Guess Road, including the scenic and mysterious Sennett Hole. This is an out and back hike with little elevation change. 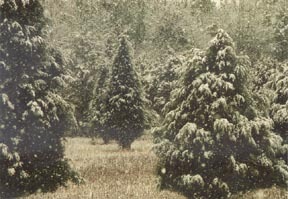 January 13, 2019 – If inclement weather cancels the hike you may look here or call (919)620-9099 extension 201 for that information. 2:00 pm This hike is an opportunity to visit history left behind by early residents of the Eno. We will hike to the ruins of the old Cabe Mill and Sparger hunting lodge, along with a visit to the Cabe/Shields cemetery. Be prepared for short excursions off the trail into the woods, including hiking up and down wooded slopes. 2:00 pm This is the newest property to be added to Eno River State Park which is expected to be bought before the end of 2018. This 88 acre hardwood forest has an old rock quarry, left behind from building Orange County Roads. It is a scenic and historical spot. Our guide will take us there with a combination of hiking trails and hiking through the forest. This hike requires crossing Buckquarter Creek on the Ridge Trail twice which means crossing on large, uneven, sometimes wet rocks to keep your feet dry. A hiking staff is strongly recommended. Allow 3 hours for this hike. Directions: Meet at Piper-Cox House off Cole Mill Road. The address is 6101 Cole Mill Rd, Durham, NC 27705. After entering the state park gate take the 2nd right to the parking lot. Eno River State Park, Fews Ford Access Buckquarter Creek/Ridge/Fieldstone/Holden Mill Trails, 5.6 miles Hike the most scenic stretch of the Eno River past many rock outcrops and rapids to the stone ruins of the old Holden Mill. This includes a long walk along the river as well as up some long hill climbs through beautiful old hardwood forest. The hike along the river includes climbing over rock outcrops of moderate difficulty and requires crossing Buckquarter Creek on the Ridge Trail which means crossing on large, uneven rocks to keep your feet dry. A hiking staff is strongly recommended. Directions: Meet at Piper-Cox House off Cole Mill Road. The address is 6101 Cole Mill Rd, Durham, NC 27705. After entering the state park gate take the 2nd right to the parking lot. February 3, 2019 Confluence Nature Preserve Two Forks/Shepherd Mill Trails 2.25 miles This is a great chance to see the Confluence in winter. This hike will include the East and West Forks of the Eno, the confluence where the main stem of the Eno River begins, and the old Shepherd Mill site with the mysterious stone etchings. Directions: Meet at the pavilion beside the parking lot. The address is 4214 Highland Farm Rd, Hillsborough, NC 27278. February 24, 2019 Eno River State Park, Fews Ford Access Fannie Breeze Homestead History Hike 2.7 miles 2:00 pm We will hike trails to reach the home site of Fannie Breeze. The foundation remains of this home site lie on top of a bluff overlooking the Eno River. Fannie Breeze was a slave to the white Breeze family in the 1800s and was a practicing midwife up and down the Eno River. After Emancipation, she continued her services to people of all races. She was an important member of Pleasant Green United Methodist Church and was instrumental in the founding of Mt. Gilead Baptist Church on Pleasant Green Road. If we are lucky, daffodils/jonquils planted during Fannie Breeze’s time will be in bloom. Directions: Meet at the Fews Ford Picnic Area at the end of Cole Mill Road. The address is 6101 Cole Mill Rd, Durham, NC 27705. 1. Hikes are free but we encourage hikers to become a member of the Eno River Association! 2. Hikes start at 2:oo pm at a different location each week unless otherwise listed. 3. Plan to arrive at least 10 minutes early to park, get to the meeting location, and sign in with the hike leaders. 4. Wear closed-toe walking shoes or boots. Dress for the weather, whatever it is – sun or rain, cold or hot. Wear long pants due to some poison ivy on off-trail sections. Bring water and trail snacks (you will be out for ~2 hrs+). There are some great photo ops, so consider bringing a camera. Our Sunday hikes continue from March through early May with a wildflower theme. Click here for more info. This weekend: Cold stroke of fun | GetGoing NC! This weekend: Run, hike … snowshoe? | GetGoing NC!